The best smooth, straightforward and effortless editor. All-in-one editor that make your content more effective. Very cooperative and surely available for help. $67 / lifetime. It delivers the value more than you pay for it. An excellent plugin for web marketer that allow a creation of landing pages, squeeze pages, lead generation, testimonials, comment system, and so on. No free or trial version. Verdict: We absolutely love the plugin and addicted to this that is why it is the "must have" part of our almost every site. You can see the posts on this blog. The extreme level of customization that is present with every element makes it flexible and easy to use tool. It eliminates the need for coding and hiring a developer. The one-time fee makes it quiet affordable for everyone. So, if you want to make your site content appealing and want to present as fascinating, this is the plugin that surely helps you by saving your time. Do you want to make your blog post stunning and magnetic that will help you to increase the conversion rate? Designing a web page as you think sometimes becomes difficult when you have no CSS, coding, or HTML skills. As the WordPress becoming the more popular and famous CMS out there, companies trying to provide tools that are compatible with WordPress and help you create posts and pages as you wish. And here Thrive Architect (previously Thrive Content Builder) by ThriveThemes comes in the game to help bloggers, marketers, and business to design stunning and beautiful looking landing pages as well as blog posts. 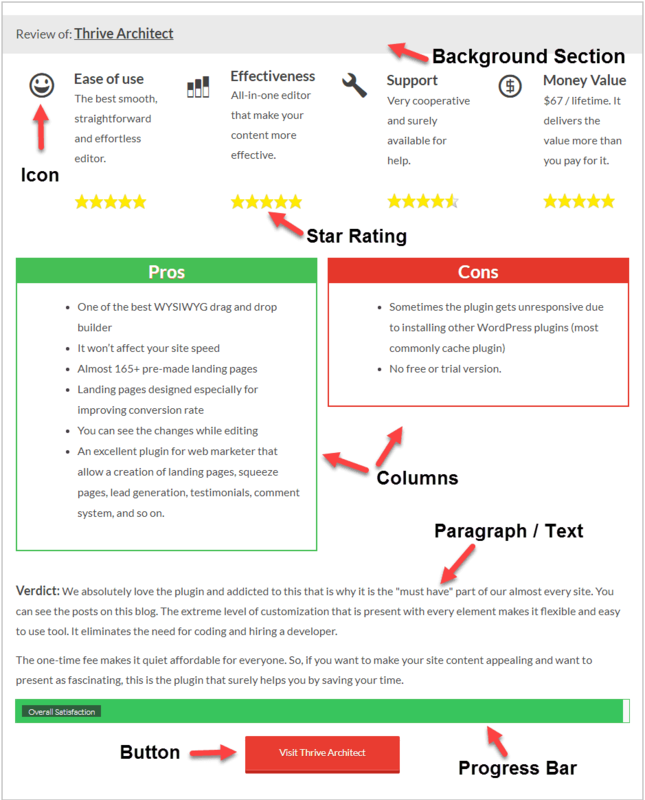 Thrive Architect or Content Builder is a WYSIWYG (What you see is what you get) based WordPress plugin which can be used for creating landing pages or editing content of your posts/pages. It is the most popular, easy to use, require no coding or technical skills to develop good looking any type of page. The editor consists features like testimonials, stylish buttons, content boxes, click to tweet box, google maps, column, social icons and much more. The traditional WordPress editor is far behind than this all-in-one plugin. Well, it depends on the nature of work you are dealing with. The features like landing pages, lead generation, testimonial, credit card icons and countdown timer, etc. are immensely used by the web markets. It is also useful if you want to make an imaginative layout of your blog post as it has tons of drag & drop elements. Here mark that if you are a free user of WordPress.com, then you can't use it. Before we dive into the review, let’s just have a glimpse over the WordPress editor and Thrive Architect so the newbies can understand basic visual differences. Instead of buying and operating several plugins such as social shares, buttons, and lead generation etc. you can get all those from just a single plugin in only $67. Another huge advantage of using the builder that their drag and drop takes zero-time to add the elements into the post. For start working, first of all, you need to download the .zip file provided by the company. Now login to your WordPress dashboard and navigate to the Plugins . Click on “Add New” and then “Upload”. They ask you to choose the file, then select the downloaded .zip file. After uploading hit “Install Now” and then “Activate Plugin”. Next, activate the plugin license. For this, navigate to the “Settings” given at the sidebar of the WordPress dashboard and then select “Thrive Architect”. You will get your “License” key by logging into your account provided by ThriveThemes. Just paste the details and activate your account. How to Enter into Thrive Architect? After validating the license click on the “Posts” or “Pages” at WordPress dashboard. After saving hit the “Edit with Thrive Content Architect” button which appears below the permalink as you can see in the below image. Indeed this is very convenient because after clicking, the screen suddenly turns into the Thrive editing mode. 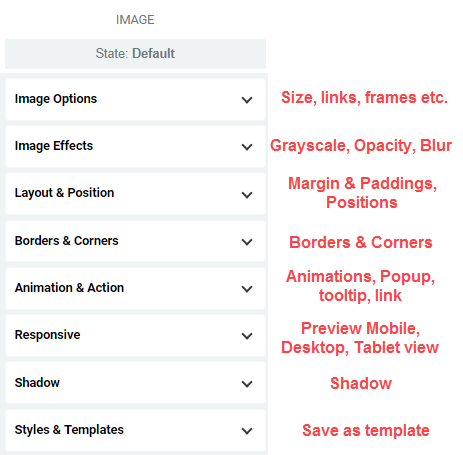 While in the case of WordPress editor when you click on the “Edit Post” in this position shown in the above image, it will take you back to the WordPress dashboard where you can make the changes. So it means thrive tool is a way much convenient than the WordPress default editor. 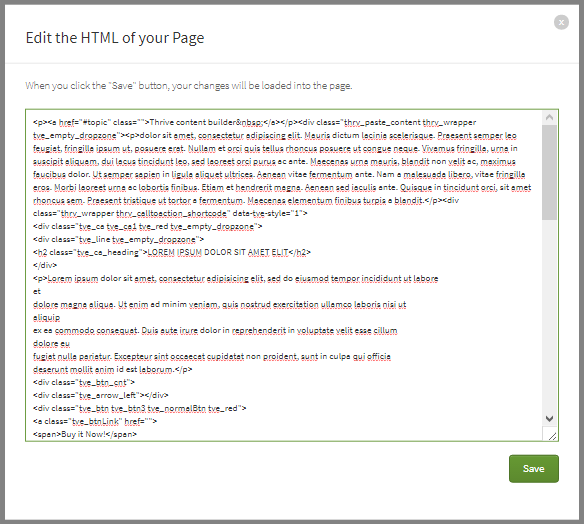 After entering into Thrive architect editing mode you will see the front-end of your post. At the left hand side you can see all the contents offered by the thrive. For writing text, simply add the paragraph element. This can be done by just clicking on “Paragraph/ Text ”. You can also drag the element and drop it in the highlighted zone shown by a blue line or anywhere in the body area. Thrive provides you lots of options to edit the text. You can change the color of text and text background as well. It can bold, italic, underline and place a strike-through line on the text. This also allows you to set the text layout (Margin & Padding), and positions. You can create hypertext, increase or decrease the font size and much more. Even you can add the Animation to text; they support tons of animations. Look below the text editing panels. The heading is just like the Paragraph/Text element. The only advantage that you don't have to navigate to heading option to make a specific text a heading. Now just drag the element, and that's it. This element has almost the same editing panels shown above. Images are the essential part of every blog post. For adding images drag the “Image” element from the sidebar and put it wherever you prefer. After uploading just click on the image to edit its attributes like Title, Alt title, effects, Animations, and embedding URL, etc. There are many frames for the images too. So how do we add buttons in our blog posts before thrive architect? At first, we use shortcodes. Being not a fan of shortcodes, we always feel them like a complicated scientific formula. Sometimes shortcodes become messy due to their complexity especially if you are not a tech savvy. For making things simpler, we start using a WordPress plugin such as WP Shortcodes or Shortcodes Ultimate. But with the Thrive Architect plugin, everything changed. Now we just have to drag the “Button” and drop it to our favorite place. It is super easy than other button plugins. Thrive enables you to edit the button and see the changes in real time without moving to any other screen. You can modify the size, text, color, text spacing, margin & paddings, and alignment of the button. There are 8-styles of buttons including rectangle, rounded corner, gradient, and border button, etc. Plus, they allow you to add inner and outer shadow. You can even use icons in the button. The animation, pop-up and tooltip text can easily be added to the button. There are lot more options. You might need columns while comparing the products. We do create those columns using shortcodes before. Working with shortcodes is troublesome. And with WordPress editor, it becomes really painful to check back and forth in order to get things in right place. 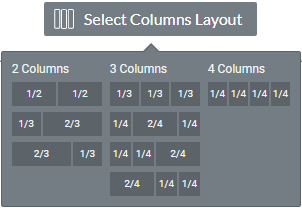 Say goodbye to shortcodes because creating column via TA (Thrive Architect) is a way much faster than the shortcodes. There are 8 different layouts. So if you want to get rid of the shortcodes and make your time more productive then must try Thrive Theme's Architect plugin. It just cost $67 for the lifetime subscription. Want to highlight something in your post? Use background section. First, add the background section and then choose its color. After that just drag the Paragraph or any other element into it. Like others, this element is highly customizable too. You have full control over color, width, height, border, shadow, and Typography, etc. Content is used to create the stylish boxes. Moreover, you can also use it as a container and move the numerous elements at once. The box is customizable with numerous editing options like width, height, and background styles etc. 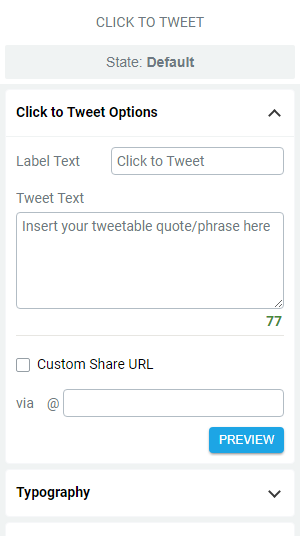 Click to tweet can be used to get more tweets and drive traffic. Insert the compelling quote with the short link at the end that you think people like to share on twitter. Content Reveal as the name indicates it automatically show the content after a specific time you set. This is very helpful in engaging the user with your site. For Example, you set the content to reveal after 2-min and ask the visitors to stay on the page and get exclusive deals or discounts. Then after 2 -minutes the page automatically scrolls to the revealed content. This is helpful as the more time user spends on your pages, the more benefit pass to your SEO. Furthermore, you can configure it to redirect the user to a specific URL when the time expires. It is one of the most used features by bloggers and marketers. Countdown timer can create curiosity and can help in getting the visitors back to your site. Countdown is used to show the time after which you are going to perform some particular task like Starting Webinar, Offer special deals, etc. Now when visitor see that you are going to offer something special, they will more likely to come back to your blog. The Countdown timer has 3-different styles. You can set the time, what to display after the time, colors, background, borders & corners, and Animation effects, etc. There is also an evergreen countdown timer which starts again after expiry time you selected. 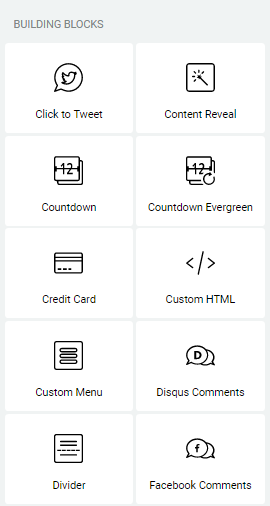 Thrive Architect includes different credit cards icons. So if you are selling something then by using this element, you can show what payment methods are supported by you. These icons usually use in landing pages and product selling sites. These are the developer type of features. The great advantage of these elements in TA is that you can place a clean box where you want to put HTML and CSS codes. From this complex structure, we need to find the place where we want the anchor. This is really annoying. Now just consider about Thrive Architect. You don’t even need to enter into the page HTML. While in editing mode, drag the “Custom HTML” and drop it where you want to place the anchor. You will see neat and clean window. Paste or type your HTML codes there. It is super cool and easy. This is a simple element that can integrate the site parts like Primary Menu and Secondary Menu into the blog post. So if at any spot you need such widgets then you can add them using Thrive Architect with editable features like make it horizontal or vertical, changing color and font editing, etc. Below we add our site's Main Navigation. You surely know about Facebook and Disqus. Both are very commonly used services. Now you can integrate their comments sections right into your post. Like the other items, both are also easily configurable. The divider can be helpful in enhancing the readability and use for spacing between the contents with styles. Thrive offer 5-different types of dividers. Often you see in review articles that bloggers rate their experience using graphical and special elements. This becomes very easy for your visitor as they get to know about your experience quickly. So, the tool offers animated elements such as Progress Bar and Fill Counter with numerous editable options. You can change colors, labels, and other settings. This feature can play a role in improving trust between you and your customers. Usually, companies use such features and display the location on their site. So if you are offering the products or services, then you should expose your location which might be helpful in increasing the trust. The element requires Google map embed code to display the location. 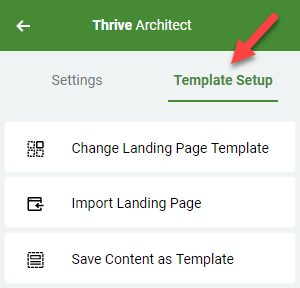 For getting the embedded code, Go to Google Maps and in the menu select “Share or embed map” and paste that code back in the Thrive Architect element. Often we need icons to denote or make the content more attractive. No matter why you need, there are tons of icons. But first download icon set from icon moon and import them into the builder. Don’t worry at the first time they automatically navigate you step by step to import the icons. For collecting emails, thrive architect offers Lead Generation element which is simple to setup. In this, when someone signup for your site, next time the system automatically send them an email for your new posts. This is a great way to get the user back on your site. Most of the well-known bloggers are agreed on that after setting up the blog, one should include email collecting system in its priorities. The tool will guide you step-by-step for connecting the service. This element can combine your different posts at one place in a Grid view. It may be helpful if you want to show some other related articles in a specific blog post. These buttons are the significant part of every blog. There are many plugins out there with different types of social buttons styles. Like Jetpack which is installed by almost every blogger also offer social share buttons. Thrive Architect has 4-styles and you can place the buttons as Icon only, Icon + text or Counter. Plus, they allow you to change the orientation. Alternatively Monarch, Social Warfare and Sumo are the famous plugins for social share buttons. This item is most commonly used in reviews. Plus, it entirely eliminates the need for any extra free or premium star rating plugin. Start rating is beneficial for the customers as it quickly gives them an idea about the product quality. There are 4 different styles of starts. You can place up to 10 stars. The is changeable. It’s purely simple and allow you to change the stars outline and inner colors, maximum starts, alignment and more. Listing is commonly used in the articles and reviews. Whether you want to list out the vital features of a product in a review or the major point of the article, bullets make your posts more attractive and readable. Default WordPress editors provide very basic bullet styles like the MS office. On the other hand, Thrive Architect help you add stunning lists. There are hundreds of icons you can place as we do some of them in below image. Plus, everything can be modified such as colors, icon size, and line spacing, etc. Before thrive tool we use the TablePress plugin. Although it is an amazing and much handier than inserting shortcodes but TA totally eliminate the need to install any additional plugin and delivers great user experience than TablePress or any other plugin. Drag “Table” element to the post area. 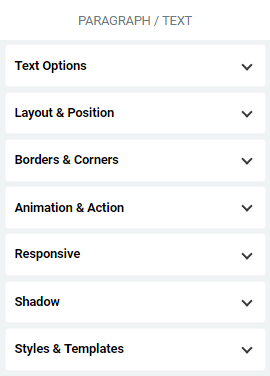 By a single click, an editing panel appears in the sidebar where you can change the colors of the header, border, rows, columns, and backgrounds, etc. Furthermore, you can enable/disable inner border, outer border, and sortable options. All in all, everything is customizable. As the name implies, it is used to quickly navigate the visitor to the content they want to read. Suppose you have a long post but a visitor wants to read the conclusion of that post, then he must scroll down to the end of the post. On the other hand, you can place the "Quick Navigation" at the beginning of the post with headlines, then by just a click, the visitor will automatically navigate to that headline content. It is just like anchoring but here you don’t have to place codes in HTML instead you can get the similar outcome by simple mouse clicks. Here see below where we place H1, H4 in quick navigation. Tabs can be helpful to categorize and present the information more efficiently. See our article how to start a blog that how we make use of this fantastic element. 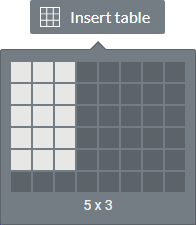 The tool offers 2 layouts, Horizontal and Vertical. More tabs can be added if you want to. You can set the tabs width, default tab, colors, positions, layouts, and borders, etc. Do you want marvelous styles to present the testimonials? Testimonials could be the essential part of the product review. Thrive Architect will highlight the references by its stylish layouts. The tool includes 2 testimonial templates where everything is customizable. The next, Content toggle is the best feature to fit the bulk of blog post contents in a very small place. Also, if you have some additional information to show in your article, the toggle is the handiest element in Thrive Architect. You can drag element like images, tables or columns, etc. in the “Toggle” area. Look below how it works by clicking it will expand. Yes, you can add videos using WordPress editor so what’s special in this “Responsive Video” element? Unlike the WordPress editor, Thrive Architect "Responsive Video" put full control in the user’s hands like Auto hide video controls, Autoplay, show/hide the full control button and selecting the Thumbnails, etc. Furthermore, there are tons of style frames including White Frame, Black Tablet, Grey Monitor, and Lifted styles, etc. Responsive video features allows you to add videos from different sources such as YouTube, Vimeo, Wistia and Self-Hosted. You can manage the width, alignments, select the thumbnails to display and many other settings. Thrive Architect (formerly Thrive Content Builder) is a well-packed plugin. So, if you want to add something using shortcodes, then you can do so without leaving its editing mode. Suppose that you want to insert something like a button using the shortcode. Thanks to the Thrive visual editor flexibility that let us add things via “WordPress Content” element. 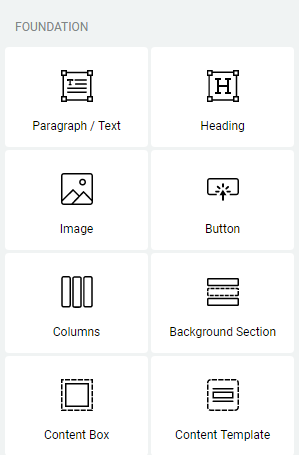 Just click or drag the “WordPress Content” and place it on the desired area. A window will open similar like the WordPress default editor. Just paste your content there. And don’t forget to hit the "Save". After saving you can see the actual button without previewing. Isn't it awesome? While, WordPress default editor is time consuming where you place the shortcodes, save the changes and then Preview. So you can guess that how time-saving is Thrive Architect. And by trying actually, you can enjoy the real taste. 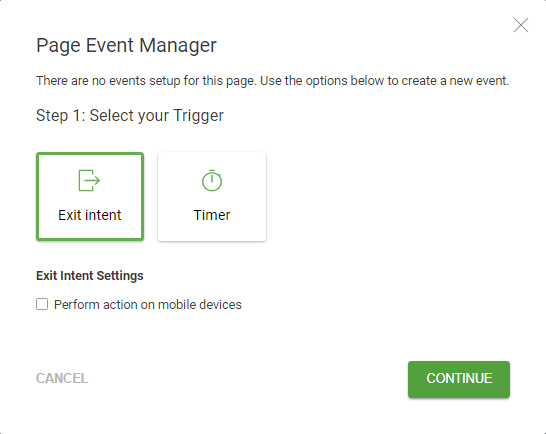 What is Page Event Feature? The page event can describe as perform a specific action by triggering. Don’t Worry! We explain it. For example: You are offering some deal to customers but most of them don't get attracted. With page event, you can set a trigger like "Exit Intent" which automatically pop up an exclusive offer you designed when the customer is near to close the tab. So a great way to attract the client back to you. You can also set the "Timer" after which it shows up the exclusive deal. Suppose we want to setup the "Exit Intent". Click on the "Setup Page Events". As we are setting up "Exit Intent" so select this and then "Continue". "Create New Lightbox". It is the main thing that you want to show up when someone going to exit. Then select any style of “Animation”. Next click on "EDIT THIS LIGHTBOX". A new tab will open that allows you to design the lightbox. You can add any element to create a good looking design and then hit "Save". Now go back to your Thrive Architect editor "save" the changes and preview it. Still Thrive Architect is not over yet. With thrive plugin you also got the feature to create your own landing pages or modify from the pre-made templates. So do you want to build email list quickly? Or want to craft the conversion focused page? The all-in-one solution is thrive landing pages where you can pick template from the 165+ designs. It means they offer almost all types of pages. Plus, they continuously growing the template inventory. Thanks to Thrive team they categorize the landing pages so the user can make the right choice. And the lists goes on………. Click here to see the templates design. Moreover, you can also import the third party templates in to the content builder. Type the heading of the page and “Save Draft”. 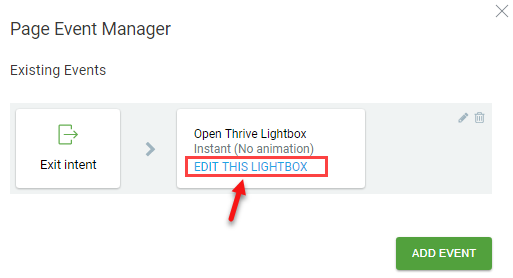 Click on “Edit with Thrive Architect” appear below the heading. Click on change landing page template and choose your template. That's it. Mixture is not the name of any feature in Thrive Architect but it’s your creativity that comes into reality by combining the different elements given in this striking tool. So how do we create the above box that appear at the very start of the post or shown in above image? First of all we add "Content Box" with​out headline​ and drag all the following elements in it. All done. It is super easy to create such amazing layouts. If you are suffering any issue just submit a ticket or contact them using “Contact” forum. For self-help, they also provide a knowledgebase. Their friendly support team will fix the issues quickly. We think in our thrive architect review, we share most of the part. Now it’s your Turn to test this amazing plugin. When it comes to the pricing you will get surprise like us as it just cost one-time $67 and that’s it. Plus, you will receive all the updates and support for 1-year. But if you owned multiple sites then consider about 5 License pack. You can activate the plugin on 5 websites that also includes all the features and unlimited free updates in just $97. The third plan designed for 15 websites by including unlimited updates, all features and 1-year support. It cost $199. But if you want the access to all of their products (architect, landing pages, Thrive themes, leads, and Ultimatum etc.) then you must subscribe for Annual plan like we did. The annual plan cost $19/month and in return you get full control over all of their products, unlimited installation on websites and unlimited support. And having such an incredible and easy to use tool you will not need to pay to web designers. Still after purchasing if you think that it is not the product you are searching then no worry your investment is completely secure. They offer 30 days refund policy. It is one of the product which is in our preference list after setting up the blog. It gives a professional look to the blog posts and pages that ultimately improve conversion rate. So, definitely as we are using it and very satisfied, we surely and strongly recommend it. The product like thrive architect is becoming a must have part of the blogs and websites. We are complete in love with it. And with such a low one time pricing it becomes extremely affordable and drives more than the money value. It is the best content builder plugin that is currently available in the market. Also, if you are using themes other than Thrive Themes then still it works fine. As a comprehensive tool it is good for all like bloggers and web marketers. We hope you enjoy our detailed Thrive architect review. Let us know your experience through commenting we really appreciate that.